The Deepwater Horizon oil spill is an oil spill in the Gulf of Mexico which flowed for three months in 2010. 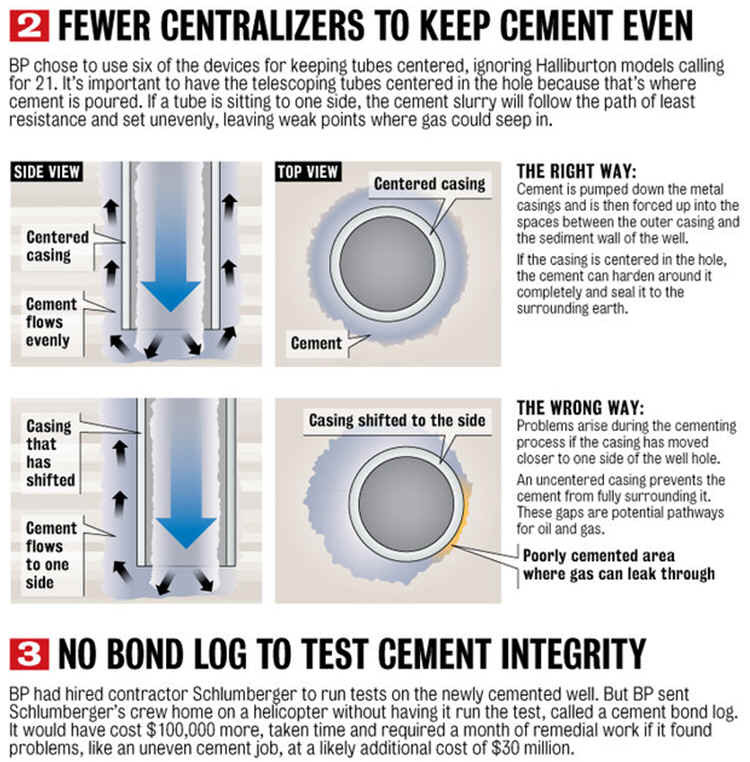 The impact of the spill continues since the well was capped. 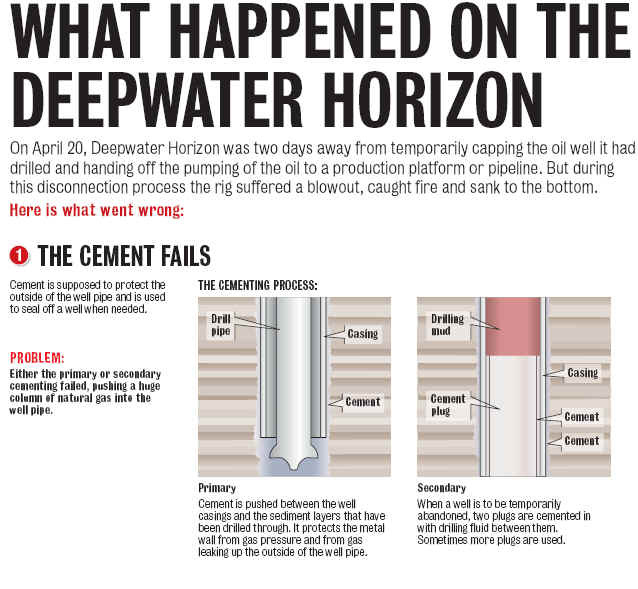 It is the largest accidental marine oil spill in the history of the petroleum industry. 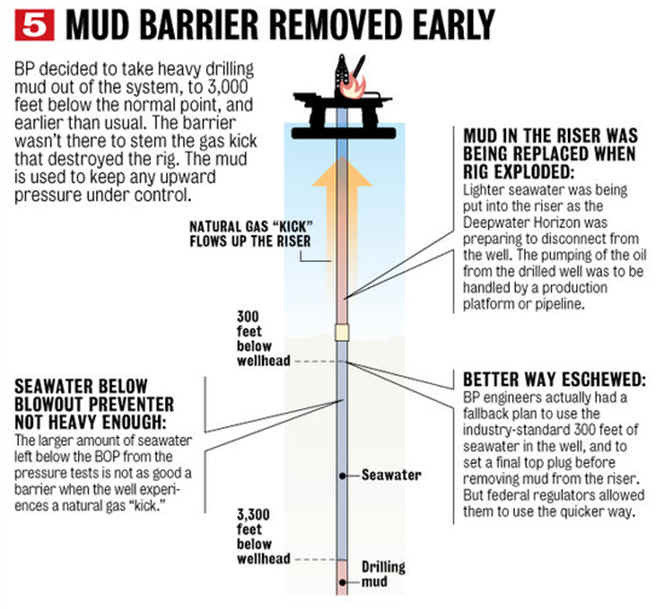 The spill stemmed from a sea-floor oil gusher that resulted from the April 20, 2010 Deepwater Horizon drilling rig explosion. The explosion killed 11 platform workers and injured 17 others. 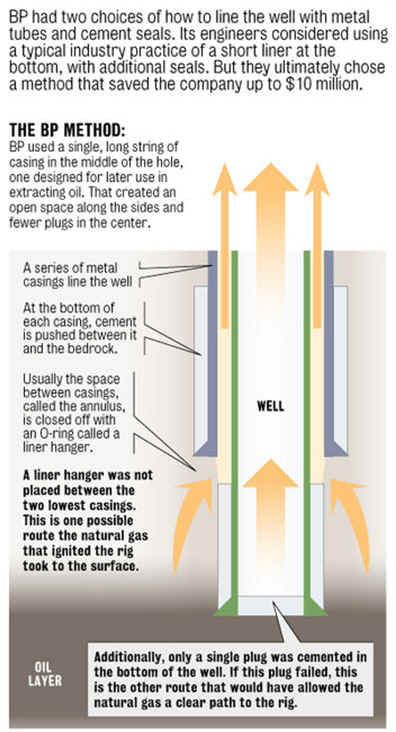 At approximately 9:45 p.m. CDT on April 20, 2010, methane gas from the well, under high pressure, shot all the way up and out of the drill column, expanded onto the platform, and then ignited and exploded. Fire then engulfed the platform. Most of the workers escaped the disaster by lifeboats or were airlifted out by helicopter, but eleven workers were never found despite a three-day Coast Guard search operation, and are presumed to have died in the explosion. Efforts by multiple ships to douse the flames were unsuccessful. After burning for approximately 36 hours, the Deepwater Horizon sank on the morning of April 22, 2010. Federal authorities banned commercial and recreational fishing in a large stretch of water off four states, from the mouth of the Mississippi River off Louisiana to western parts of the Florida Panhandle. 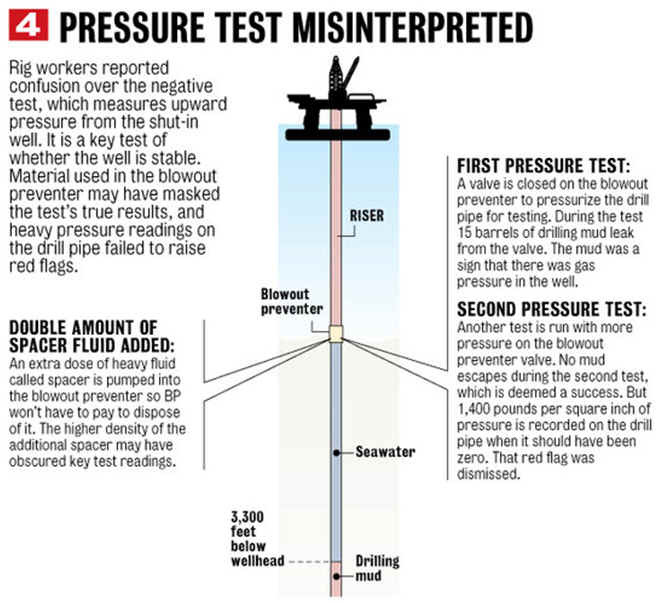 On July 15, the leak was stopped by capping the gushing wellhead. Long-term impact of Gulf of Mexico oil spill remains unclear. The oil spill will have long-term effects on businesses the environment, wildlife and jobs in the Gulf Coast region. Oil affects wildlife by coating their bodies with a thick layer. Many oils also become stickier over time (this is called weathering) and so adheres to wildlife even more. Since most oil floats o nthe surface of the water it can effect many marine animals and sea birds. Unfortunately, birds and marine mammals will not necessarily avoid an oil spill. Some marine mammals, such as seals and dolphins, have been seen swimming and feeding in or near an oil spill. Some fish are attracted to oil because it looks like floating food. This endangers sea birds, which are attracted to schools of fish and may dive through oil slicks to get to the fish. •damage to the insides of animals and birds bodies, for example by causing ulcers or bleeding in their stomachs if they ingest the oil by accident. Oil does not have to be sticky to endanger wildlife. Both sticky oils such as crude oil and bunker fuels, and non-sticky oils such as refined petroleum products can affect different wildlife. Oils such as refined petroleum products do not last as long in the marine environment as crude or bunker fuel. They are not likely to stick to a bird or animal, but they are much more poisonous than crude oil or bunker fuel. While some of the following effects on sea birds, marine mammals and turtles can be caused by crude oil or bunker fuel, they are more commonly caused by refined oil products. •poisoning of young through the mother, as a dolphin calf can absorb oil through it's mothers milk. Animals covered in oil at the beginning of a spill may be affected differently from animals encountering the oil later. For example, early on, the oil maybe more poisonous, so the wildlife affected early will take in more of the poison. The weather conditions can reduce or increase the potential for oil to cause damage to the environment and wildlife. For example, warm seas and high winds will encourage lighter oils to form gases, and will reduce the amount of oil that stays in the water to affect marine life. The impact of an oil spill on wildlife is also affected by where spilled oil reaches. 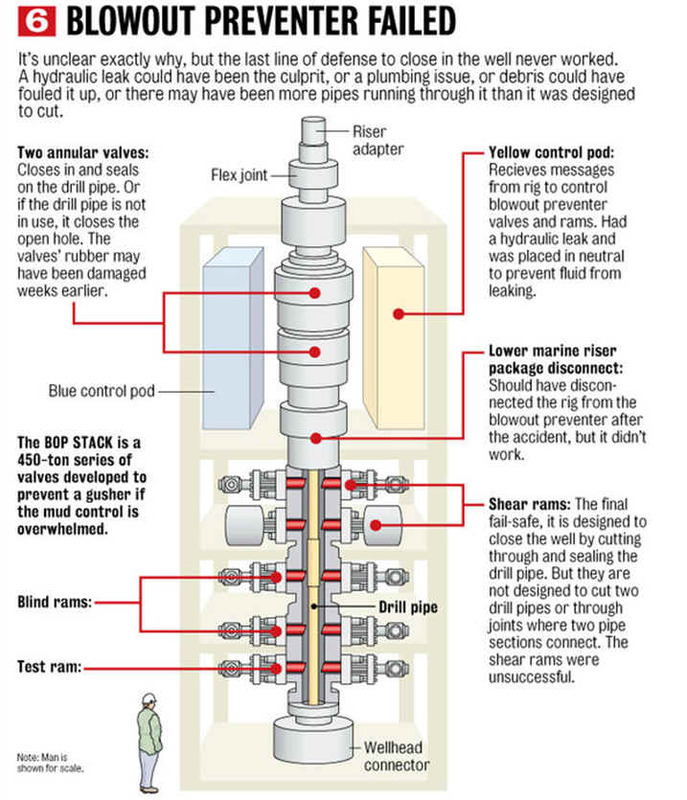 Drilling offshore dates back as early as 1869, when one of the first patents was granted to T.F. Rowland for his offshore drilling rig design. This rig was designed to operate in very shallow water, but the anchored four legged tower bears much resemblance to modern offshore rigs. 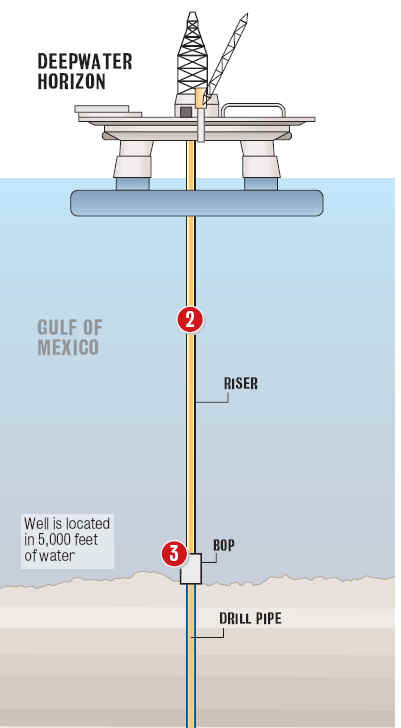 It wasn't until after World War II that the first offshore well, completely out of sight from land, was drilled in the Gulf of Mexico in 1947. Since then, offshore production, particularly in the Gulf of Mexico, has resulted in the discovery and delivery of a great number of large natural gas and oil deposits. 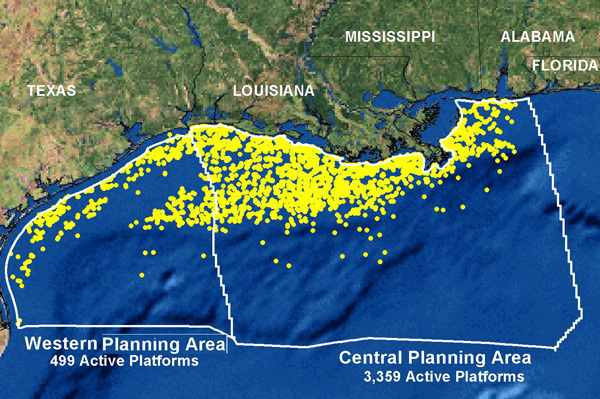 There are 3859 active platforms in The Gulf of Mexico . 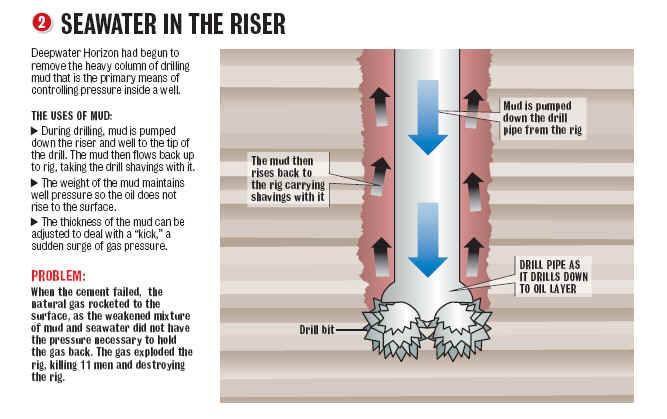 There are two basic types of offshore drilling rigs: those that can be moved from place to place, allowing for drilling in multiple locations, and those rigs that are permanently placed. 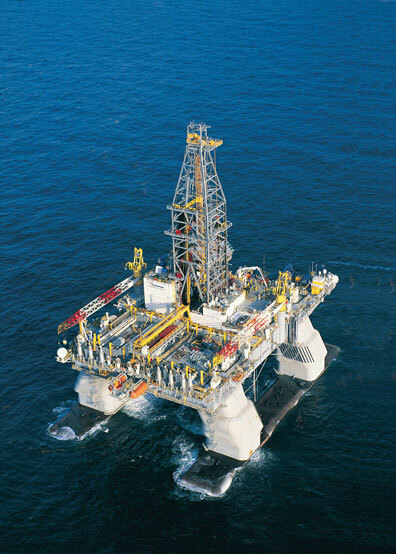 Moveable rigs are often used for exploratory purposes because they are much cheaper to use than permanent platforms. 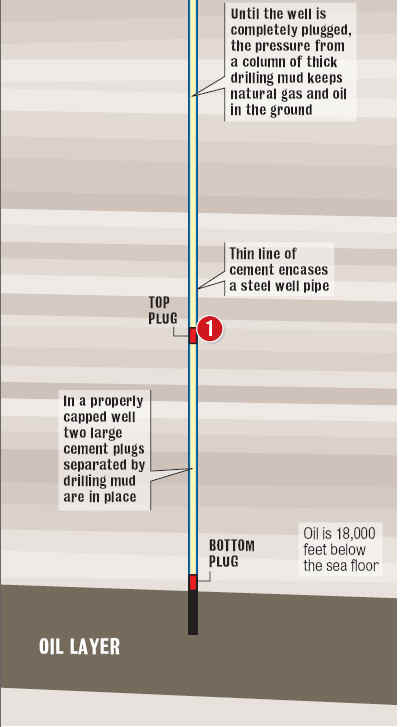 Once large deposits of hydrocarbons have been found, a permanent platform is built to allow their extraction. 10) sub-sea completion and tie-back to host facility (deepest: Shell’s Coulomb tie to NaKika 2004, 2,307 m/ 7,570 ft). 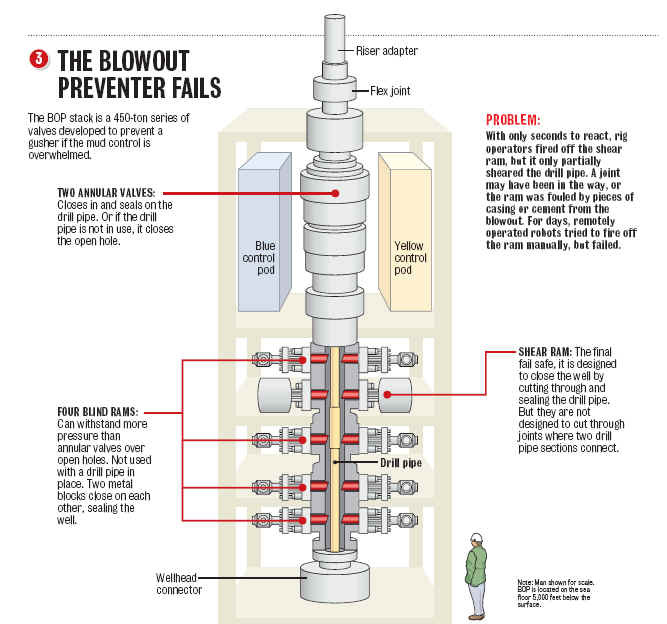 The DEEPWATER HORIZON was a Reading & Bates Falcon RBS8D design semi-submersible drilling unit capable of operating in harsh environments and water depths up to 8,000 ft (upgradeable to 10,000 ft) using 18¾in 15,000 psi BOP and 21in OD marine riser.